Are you leaking too much personal information online? Just give me your name and there is an excellent chance I’ll be able to find out things about you that you would rather I did not know. Even with rudimentary searching skills, it is possible to find out significant amounts of information about each and every one of us. You only need a few bits of free software and you can delve deeper and find out even more information. Indeed, even your cat could be giving away details you do not want spread publicly. Florida State University has been able to show where 15 million cats live. The data is accurate to within seven metres. 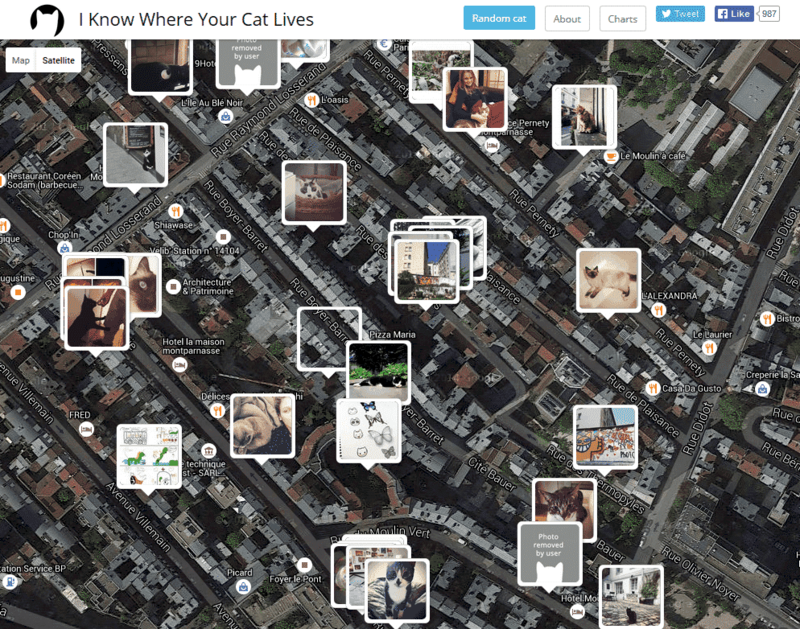 “I Know Where Your Cat Lives” shows how a simple picture of your cat online can reveal personal information about you that you might not want to be known. Of course, if you want everyone to know your home address, then don’t worry. Equally, if you want your customers to know all about your family parties, then share those pictures of your tipsy moments as much as you like. After all, the next time you visit your customers they will not think any less of you because you of that video of you dancing on a beer-soaked floor…..will they? We all have private lives but they are – well, private. We know that the people we meet get drunk, have sexual desires that we might think are weird and have arguments with their neighbours. But do you really want to know those kinds of things? Not only is there a security issue in the things we reveal online, but there is reputation to consider as well as the impact on business and personal relationships. We need boundaries between different areas of our lives. What you talk about in the bedroom with your partner as you lay next to each other naked, is probably not the kind of chat you’d have with a potential new client in their boardroom. Yet, the sweet nothings you swap digitally with your lover could be seen by a client, if you are not careful. People overshare. Period. We all provide far too much information online, often without realising it. Indeed, people have been stunned by the results of software that can provide a personality profile of them simply by checking the words they use on social media. The algorithm is exceedingly accurate and people have found the results “creepy”. Another study discovered that people who use social media a great deal are so keen to share things that 28% of them even add posts which contain illegal material. It seems that we cannot stop ourselves sharing all kinds of things. Google has recently responded to the issue of the amount of data it has about individuals. The Google About Me section allows you to edit a wide range of privacy settings so you can reduce the amount of information you are leaking. This allows some kind of control over privacy, but as doctors, for instance, know, there is more you need to do. The social media controversy with doctors reveals that unless the medical profession takes care, the boundary between patient and medic becomes blurred. That is a real threat to the doctor-patient relationship. The same issue can take place between client and supplier; the degree to which you share information online and the privacy settings you have could be affecting your relationships in your business. It can, for instance, affect the distance needed between CEO and staff, or the need for a professional boundary between supplier and vendor. If you do nothing else, it is time to review your privacy settings. However, perhaps it is also time to write yourself your own social media policy so that you preserve relationships. And on top of all that, you’ll be reducing the data that hackers can use.